"…Power and expressive lyricism, which takes the listener into the depth of romanticism, giving enthusiasm and passion. His touch charms with its elegant and brilliant style, with a gentle and melodic charm…." (Badische Zeitung, 2005). 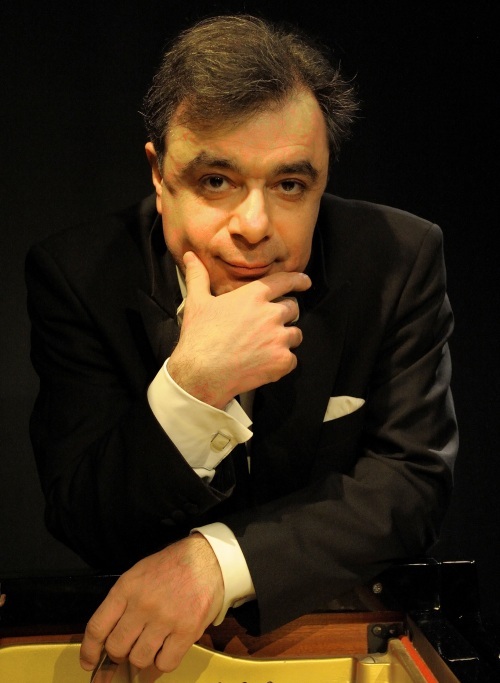 As a soloist, he has performed with different orchestras including the Opéra de Rouen, the Ensemble of Basse Normandy, the philharmonic orchestra of Nizhny Novgorod, the State Philharmonic of Armenia, the Leon Barzin Orchestra, the New Chamber Orchestra of Rouen, the Philharmonie of Fontainebleau, in Mozart’s, Beethoven’s, Liszt’s, Rachmaninoff’s, Ravel’s, Poulenc’s concertos, under the direction of conductors such as Alexander Skulsky, Jean-Jacques Werner, Oswald Sallaberger, Vadim Shubladze, Joachim Leroux, Jean Deroyer… Artists such as Brigitte Fossey, Marie-Christine Barrault, Bruno Rigutto, Roland Daugareil, Henri Demarquette, Hervé Joulain, Marc Drobinsky, Jean Ter-Merguerian were also his partners. Born in Eravan, in a musician’s family and settled in France since 1974 in order to continue his studies at the Paris’ Conservatory, where he got several first prizes. He is also a composer and his scores are published by Combre, Billaudot and Max Eschig. In 2009, he produced the first global transcription for solo piano of "Rondes de printemps" by Debussy, an extract of images for orchestra that he created in April 2009. This work will be published by Durand at the end of 2011/2012. In 2010, he created his piano sonata in three movements at the Vexin festival. Since 2008, he is the artistic adviser at the international festival "l’Eure poétique et musicale" in Normandy (www.festivaleure.com). At the same time, he teaches piano in Paris’ conservatories and in Noisy le Grand and also taught in summer international academies such as Flaine, Nancyphonies and Mende.